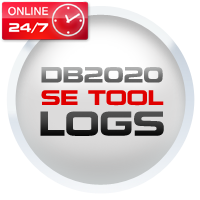 DB2020/PDA Logs for SE Tool contains 30 logs, allows unlock (pernament unlock). For all operation you must got Internet connection, SeTool Box and DCU-60 cable. 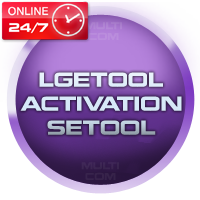 LGE Universal Service Tool activation for SeTool gives you ability to not unly unlock phones as LG, Motorola, Huawei, Sharp, SKY locally (by direct unlock) but also remotely by IMEI/MEID from such phones as HTC, LG, Motorola ZTE, Huawei, Pantech, Alcatel, Sharp HTC, LG. 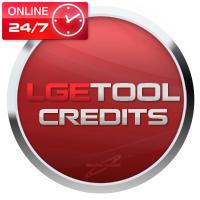 Remote services are free of charge with limit to 10 phones/day. Aplication now not only allows to unlock a phone but also make service operations as read/write flash, read and write BT/NVM areas, repair phone. 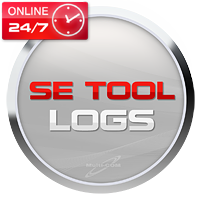 Refilling of 30 logs for SETool Box contains 30 or 60 credits and it's option if you already have a username and password with 1 or more credits balance and want to charge and add credits to your current balance. Thus, for example if you have an username with 3 credits balance and buy a recharge of 30 credits, will be a total of 33 credits in your account balance. 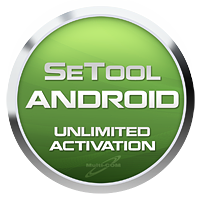 SeTool Android Unlimited activation allows you to support Android SE phones as X10a, LT15a, U20a, U20i, E10a, E10i, E16a, E16i and moore. After update, no more require internet connection or any credits to service any qualcomm-based semc phone, which supported for altbypass method. That means, you can unlock,repair, rebuild hwconfig for free, without any internet connection.